Great River, NY, 28th March, 2018—NRC announced today it has acquired Cleanline Waste Water Solutions Ltd, significantly adding to its UK footprint and expanding its full line of environmental, emergency response and industrial services. 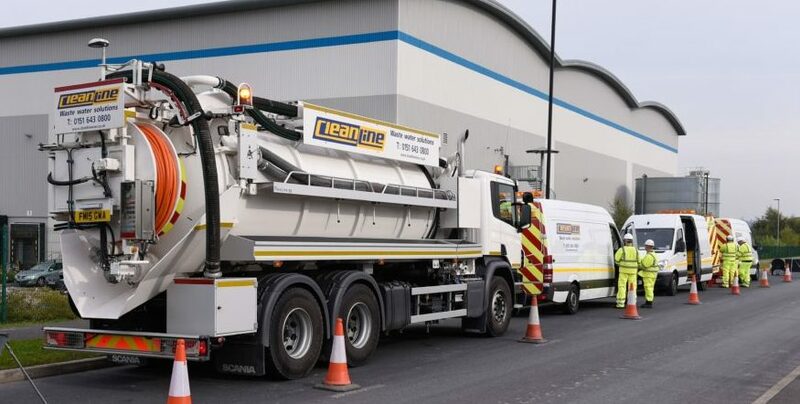 For over 14 years, Cleanline has been providing a range of innovative drainage and sewer services throughout the UK, including water jetting, vacuum removal, CCTV survey, drain relining and UV lining, patch lining, precision cutting, excavations and site maintenance and topographical surveys. Cleanline works for a wide variety of sectors including construction, highways, water, manufacturing, government and more. Based in the Liverpool area, Cleanline employing 50 personnel and services over 200 clients, many of which are major blue-chip companies. NRC provides a broad range of international services including industrial cleaning and maintenance, HAZMAT emergency response, oil spill cleanup, industrial firefighting and rescue, waste management, site remediation, abatement and decommissioning, equipment rental packages, and marine services. NRC is the largest commercial oil spill response organization (OSRO) with worldwide operations. “The acquisition of Cleanline complements our existing UK operations on a number of levels by enhancing our existing industrial service lines, broadening our client base and expanding our UK footprint” said NRC CEO Paul Taveira. “Combined with our existing bases in Milton Keynes, Aberdeen and Inverness, the addition of Cleanline in the Liverpool area really strengthens our national capabilities and our geographic reach, better enabling us to service both existing and new clients throughout the UK.” added Neil Challis, Senior VP, International. NRC is an affiliate of J.F. Lehman & Company, a leading middle-market private equity firm focused on the defense, aerospace and maritime sectors. NRC is a global provider of diversified environmental, industrial and emergency response solutions. Headquartered in Great River, NY, NRC has 73 office locations in 16 countries and maintains worldwide support operations in 33 countries. With over 1,400 highly trained and skilled employees, NRC is equipped to complete the growing number of assignments that require great care to protect people and the environment as well as to comply with environmental regulations.